During the Great Depression, John Dillinger gained national attention for his thrilling bank robberies. Hailed as a modern-day Robin Hood, Dillinger was slick, suave, and cool, and the media, while covering his violent crimes, also augmented his legend. Dillinger took money from the banks, but respected the common people, who were hurting financially. And despite the public’s love for his exploits, Dillinger hid from the feds right in plain sight. 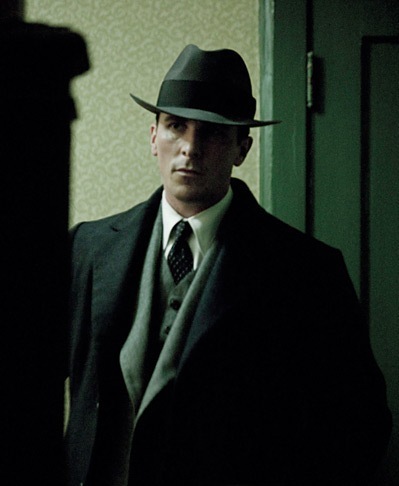 Michael Mann’s Public Enemies details the attempts by FBI agent Melvin Purvis (Christian Bale) to capture Dillinger (Johnny Depp), and romanticizes the high-style life that Dillinger lived and the excitement of his robberies — with Dillinger often leaping over the counter and getting away from police by narrow margins. The movie is elegantly filmed at times, thrillingly told at others, and quite muscular in sound, what with all the heavy gunfire. It even has a heavy dose of authenticity, since much of it was filmed in the same locales the real-life Dillinger had visited. If only the movie had more dramatic tension. Unlike some of Mann’s other films (like Heat and The Insider), the mano-a-mano just isn’t as compelling here. Depp, with his charisma, his confidence, and his charm pretty much runs away with the movie, and Bale never quite measures up as a worthy opponent. Even Oscar winner Marion Cotillard feels wasted in the thankless girlfriend role. In addition, there’s not enough character development, so as a result, we get to watch some cool robbery scenes, some good chases, and some fun prison breaks, but there’s not much more to the film, no real arc that makes us invest more in Dillinger and feel a sense of loss when he does eventually meet his end. 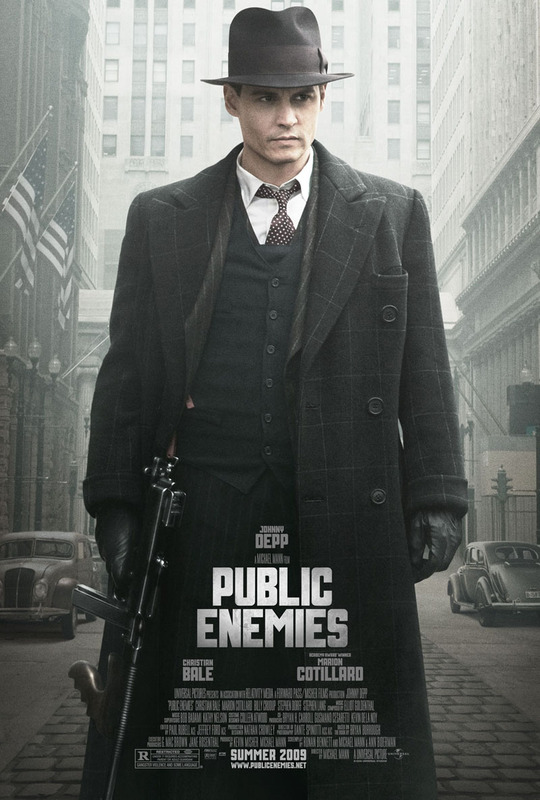 I’m only going to give Public Enemies a B, because Depp’s always great fun to watch, but it’s a crime that this film doesn’t really make good on its promise.